Dexter Daily: POLL: What Did You Think of Dexter Episode 8.11 "Monkey In a Box"? 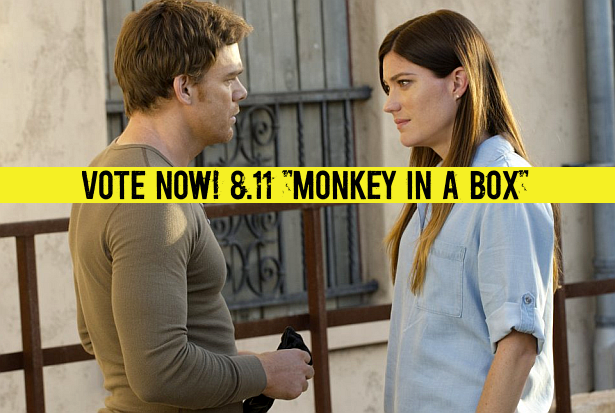 POLL: What Did You Think of Dexter Episode 8.11 "Monkey In a Box"? The eleventh and penultimate episode of Dexter, "Monkey In a Box", just aired on Showtime! What did you think of it? Vote below and sound off! What did you think of episode 8.11 "Monkey In a Box"